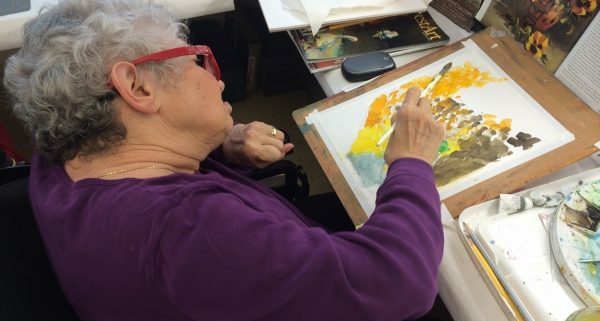 The artwork of seven residents of a Danville senior care community has been chosen for exhibition in the 23rd annual Art With Elders showing. Art pieces by Joan Brown, Rita O. Goldman, Lorraine Hornbeck, Ruth Janger, Katarina Kivel, Michie Takashima and Rhoda Wasserman of The Reutlinger Community for Jewish Living were selected to be a part of the juried art show, according to a statement from the community. 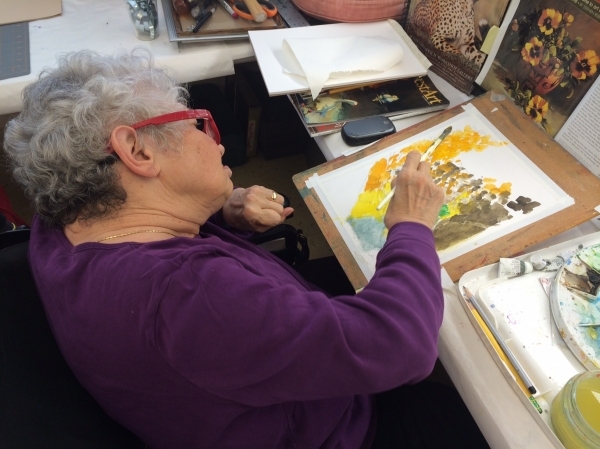 The Art With Elders exhibition will open Oct. 18 at Laguna Honda Hospital’s Gerald Simon Theatre in San Francisco to artists, family, friends and the public. The exhibit will stay in San Francisco for a month before traveling to other locations. “The residents are delighted, especially since all of them have attended the opening in previous years and have been so interested in the artwork they have seen,” said Betty Rothaus, director of The Reutlinger’s art program, which celebrates its 25th anniversary this month. The criteria for the juried exhibit included composition, original concept/subject, process, skill and color. The Reutlinger has been participating in the exhibit since 2000. “This annual exhibit is truly one of the most joyous highlights of the year for our resident artists, families, and staff who attend,” The Reutlinger CEO Jay Zimmer said. The Reutlinger is a nonprofit senior living community on Camino Tassajara that offers care including independent living, assisted living, memory care, nursing care and short-term rehabilitation.